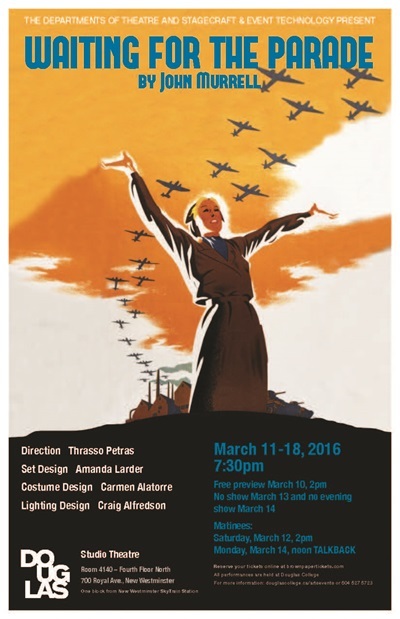 Explore the effects of war through the lens of the people left behind with Douglas College’s latest theatre production: Waiting for the Parade by John Murrell. A free preview will be held March 10 at 2pm at Douglas College’s studio theatre, room 410, at the New Westminster Campus. ← How to maintain a healthy diet in 3 easy steps!